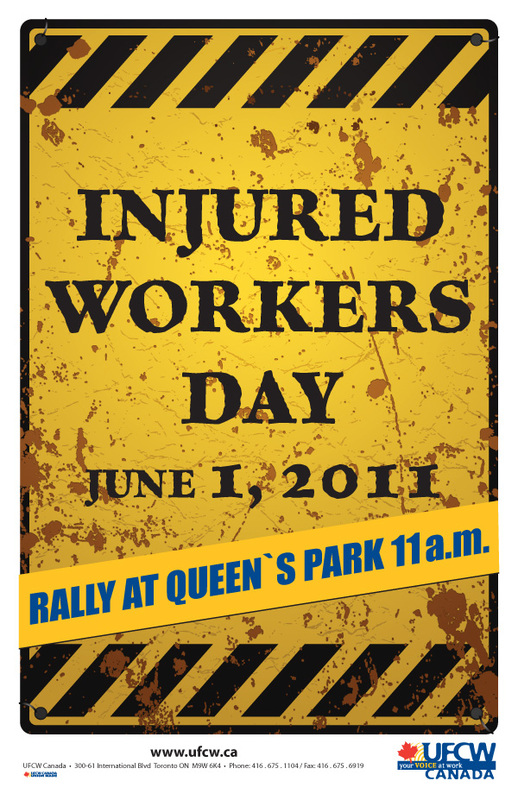 In 1983 more than 3,000 injured workers and labour allies gathered outside Queen's Park, the provincial legislature in Toronto, to protest proposed changes to the workers' compensation system that would have cut back the income replacement that the system was meant to provide them. The protest succeeded. 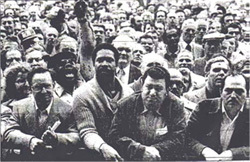 The changes were eventually set aside and in 1985, June 1 was proclaimed as Injured Workers' Day in Ontario. Ever since it has been an annual reminder that the struggle for a fair and just workers' compensation system never ends. In fact, in Ontario, and in many other jurisdictions has become harsher and obstructive; forcing injured workers to fight for the long term disabilities benefits and medical care they are entitled to. In Ontario the benefits paid have fallen 20% over the past decade against the cost of living, while over the same period more than $2 billion have been paid to Ontario employers in premium rebates. Those rebates are connected to a system that ultimately rewarded unscrupulous employers whose false reporting made their workplaces appear more accident free than they actually were. A century ago when Ontario's original workers' compensation legislation was introduced, the principles were clearly stated: compensation would be paid as long as the worker was disabled; it would be a No Fault system; it would be employer funded; and the process would not be a battle, but a cooperative process to protect injured workers and their families against income loss and the costs of medical care and rehabilitation. Those principles were just and sensible. What doesn't make sense is the current system that adds the injury of a hostile compensation regime on top of a worker's original injury; and that rewards employers for not reporting workplace accidents. On June 1, let us join in solidarity to demand justice for injured workers, and demand that a system that pledged to protect them does just that.